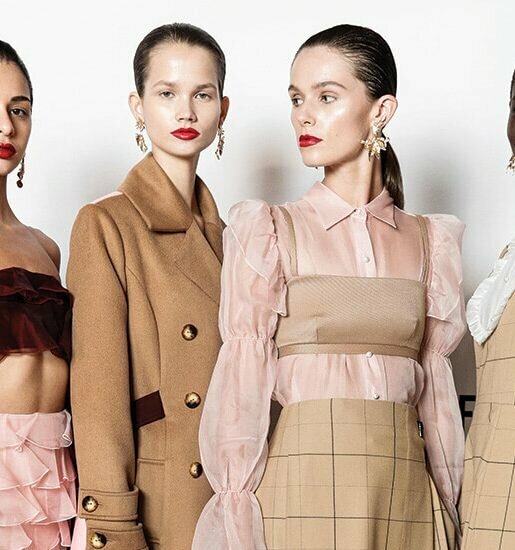 If the modelling industry wasn’t already a tough game to crack, add to the mix a new generation of Instagirls whose popularity is governing the who’s who of the moment. But it makes no difference to Sunshine Coast model Caity Sanderson – who has well and truly got her act together. Caity Sanderson is an out-and-out drama queen. Unequivocally, irrevocably and unapologetically, the girl confesses she cannot help herself when it comes to rolling out the theatrics. Whether it’s the rarity of ‘treading the boards’ with her fellow thespians, or the more likely alternative of striding down a Milan catwalk in front of the cream of high fashion, thunder in her eyes and to-die-for Bulgari dripping off her body – this 19-year-old loves a good dramatisation. It’s been five years since the Sunshine Coast was recognised as the next big thing in the fashion world. Agencies from across Australia started appearing on street corners scouring the Coast in the hope of emulating the overnight international success of another Coast local – Codie Young. While Caity’s trail may be on a slower burn, it’s one no less impressive – from editorial shoots with Marie Clare and Harpers Bazaar to international fashion shows. You get the sense this ethereal beauty, who is always her typical burst of sunshine on a grey and cold afternoon, has come to a place of genuine acceptance for the way the dice of the fashion world rolls. With her newfound maturity on increasing public display, the mature teen shares her revisited goals as well as her upcoming commitments and promises, while stumbling through her own boundaries. Because despite her spectacular debut and early successful career, perhaps most surprising is the fact there hasn’t been a stronger representation of designers wanting Caity for their own. After all, this is a model whose 32-24-35 frame is extremely in demand internationally – being identical to that of Victoria’s Secret Angel and rocker Adam Levine’s wife Behati Brinsloo, Aussie supermodels Miranda Kerr, Gemma Ward and Nicole Trunfio, and yummy mummy of the moment, Her Royal Highness Kate Middleton. “It’s been an interesting year, I haven’t been so busy, but my agent has been very selective,” says Caity from her temporary Melbourne digs, where she is attempting to step up her workload by hitting the streets for casting calls. “There is nothing worse than casting calls. I think the maximum one for me was three hours. You could be standing outside their doors with 100 girls inside it and for it all to end in nought. All of her fears and concerns fade away to oblivion once her theatrical-self takes the stage, and her feet begin that epic walk. I have been lucky to enjoy several interviews with Caity since she was put on the fast-track to superstardom after being discovered in a Girlfriend Magazine several years ago. Our catch-ups are always candid, not least because of Caity’s compellingly honest reflection on the industry that remains illusively appealing yet devastatingly cutthroat. Our conversation drifts between favourite op shopping haunts, our mutual fascination with MasterChef, gym workouts and her go-to beauty products – mascara, all the while Caity speaks knowingly of the work and sacrifices ahead of her if she wishes to pursue her career to its full heights. What strikes me about the young composed lady on the other end of the telephone line, is her relaxed focus on her control of the future ahead; a stark contrast to her early days: where she was desperately eager to fast-track to the rest of her adult life – at the then tender age of just 14. 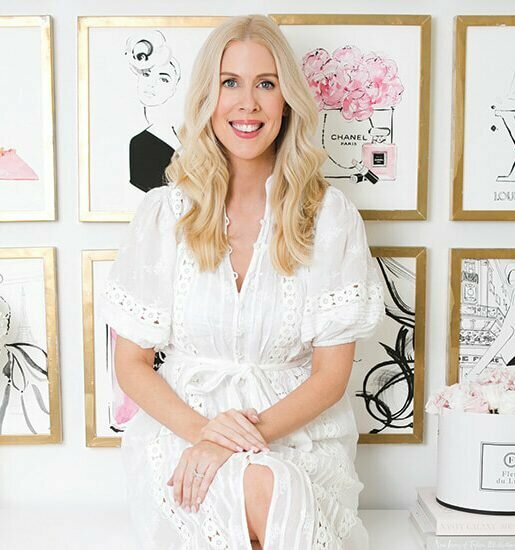 Caity’s positivity has most recently been further bolstered by her role as the poster girl for the 2015 winter Sacha Drake collection, showcasing the latest from the Brisbane-based designer. It’s a look that works well for the statuesque 179cm Caity, but she admits she loves taking a few more risks with her editorial shoots. “I think at the moment my best work is in print – with lots of editorials and high end commercial work, which is really cool,” says the proud Noosa local. “I like the really edgy, super challenging, intense make-up, strong editorial shoots. While I do love to do weddings, it can get quite repetitive and it’s always selling something, but with the other more contemporary shoots it’s more about the art,” says Caity. But what disturbs Caity most, like many others, is the future of the industry and the misdirection she believes social networking is sending the profession. “The secret to being successful these days? I think it’s all about being confident. And sadly, having a lot of Instagram followers, which I don’t agree with,” she says. In her first few years of modelling, Caity confesses she found it difficult being away from home, crediting the friends she made at casting calls as the single biggest support to her. “One of the biggest myths of modelling is the girls you meet. Most girls I have met, bar one or two in five years, have become friends instantly. They saved my first international experience for me,” she says. But Caity concedes for her to achieve her dream of working in London, she will need to conquer those lifelong fears. “It’s always a bit of timing and luck. So much of what you do is up to you – what’s next, where can I go – so you really have to be on your agent’s case,” she says. And there is no doubt about that.